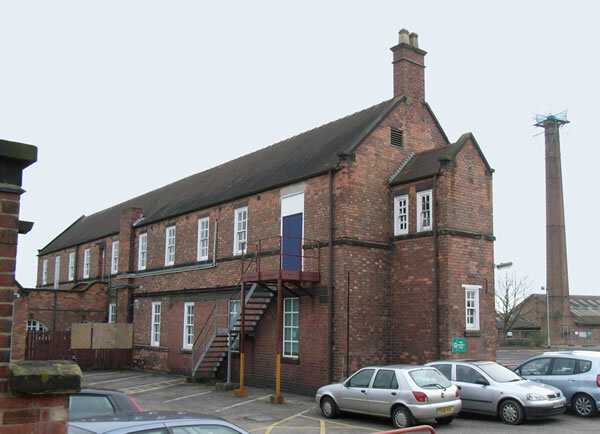 In 1880, construction began of a new larger workhouse to accommodate 550 inmates at a site to the north-west of the town on the south side of Belvedere Road at Outwoods. As can be seen from the Architects drawing, it was designed by J.H. Morton from South Shields. It was, like all workhouses, designed much like a prison. The workhouse campas followed the designs of other workhouses of the time and was finally built by Walker and Slater, an establshed builders from Derby. The total cost of the building was £43,000. It was completed in 1884 and formally opened on 23rd October by the Chairman of the appointed Board of Guardians, Major Bindley. 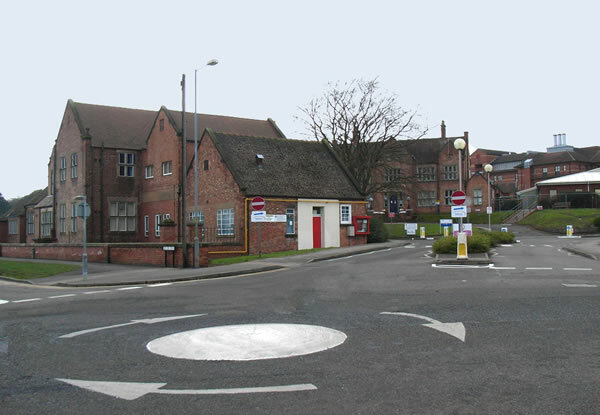 The main entrance was at the junction Belvoir Road and Belvedere Road. In and Out gates led to a Reception and Porter’s Lodge; passing through these were the general offices. A large archway at the rear led to the Master’s House which was the most impressive building on the campas. Behind that stood the main hall, predominantly used as a dining-hall but also used to address the inmates en masse. Adjacent to the hall were a kitchen block and laundry. Heading to the left was the two storey Boardroom Block, which aside from the obvious board room, housed the most senior members of staff and Board of Guardian Offices. Inmates were separated into blocks with males, females and children being kept apart, even when from the same family. 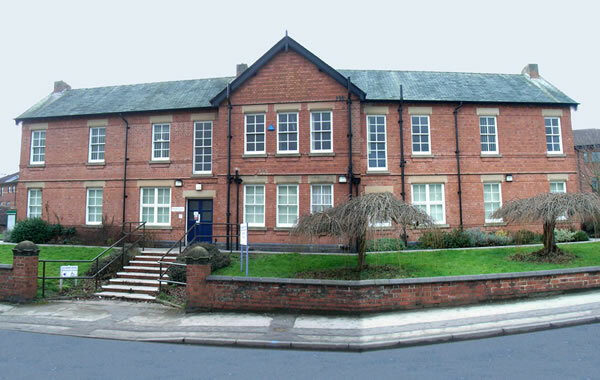 Within the children’s block, boys and girls were further segregated. Next to the children’s block was a school house. To the right was the Casuals block for short-term inmates. This also included secure accommodation for tramps and vagabonds. At the rear of the site was an Infirmary and close by, a mortuary. Also at the rear was a stable block since this was before motorised transport. Almost certainly, the site would have included a chapel with its own chaplain but, at the time of writing, I have not been able to establish exactly were this was. 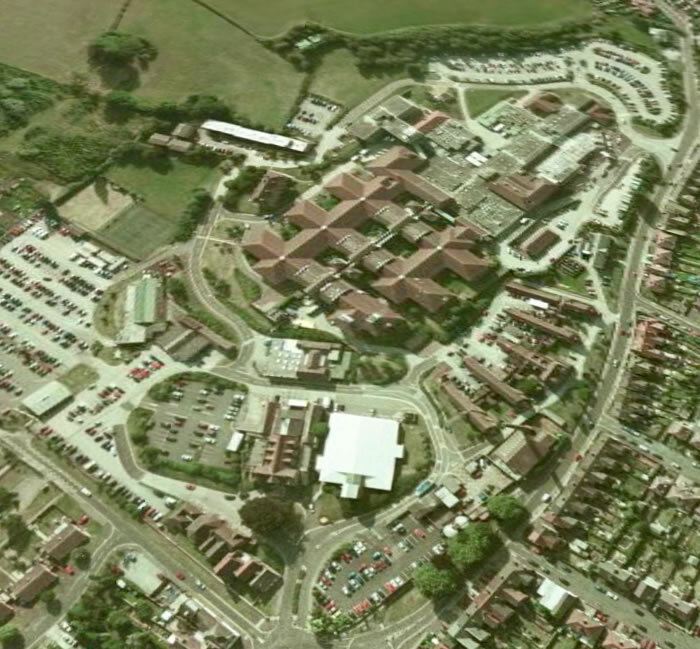 A present day aerial photo shows that the general footprint of the original Belvedere Workhouse site is still very much in evidence. Though still not finished, the Belvedere workhouse made it onto the 1882 Ordinance Survey map and extract of which can be seen below. A closer look still looks fairly familiar. The same area is now much more developed but it is still quite easy to place it and fragments of the original site can easily be identified. 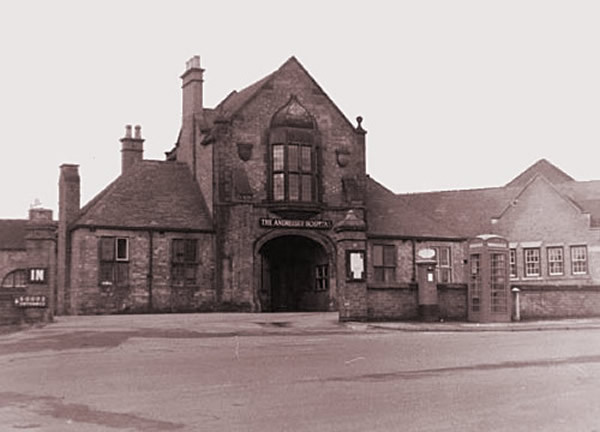 In 1930, the workhouse became Burton-upon-Trent Public Assistance Institution. 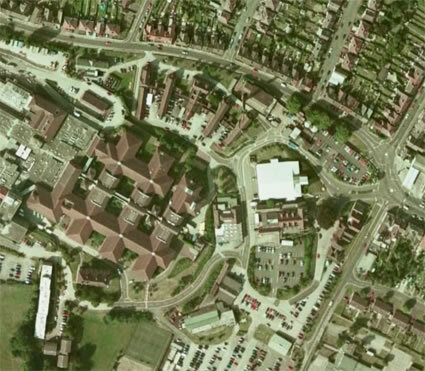 In 1948, the whole site was transferred to the National Health Service for the building of Burton District Hospital. Several buildings survived to become part of the new hospital and even today, remain in use as part of Queen’s Hospital. 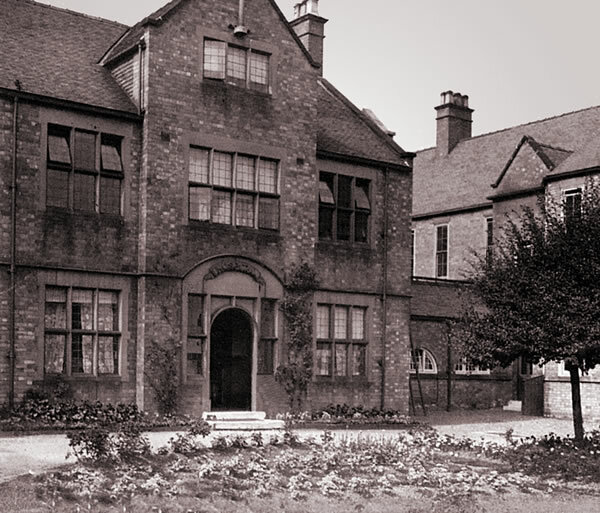 The Master’s House still survives and now houses the Chief Executive and Clinical Directors. A face on view is difficult today because of a single large tree which has been allowed to mature. 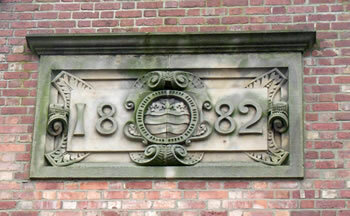 The plaque in the gable of the Master’s House confirms the year of construction. The Boardroom Block also survives as the Human Resource department of the present day hospital. 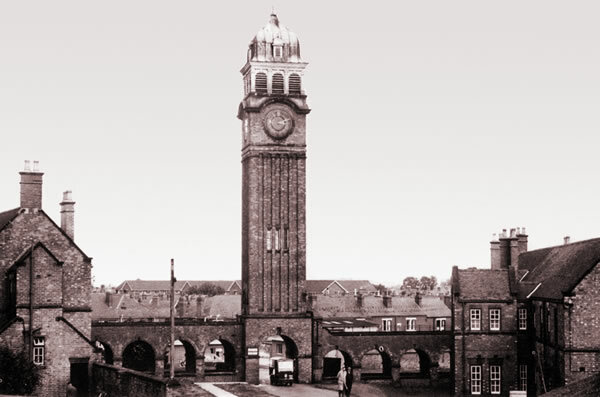 Probably the most identifying feature of the workhouse site was the imposing clock tower which has sadly, been demolished. The workhouse infirmary retained a medical role and was used as the maternity hospital as part of the district hospital. 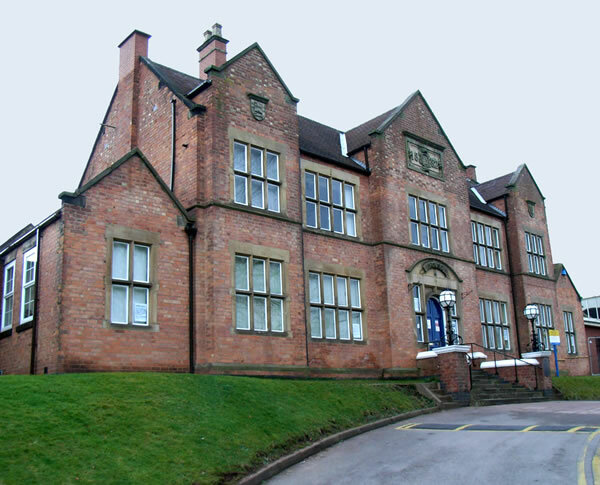 The children’s accommodation block was used by the District Hospital as the health records department and, known as the Clock Tower Wing, was also used for storage. 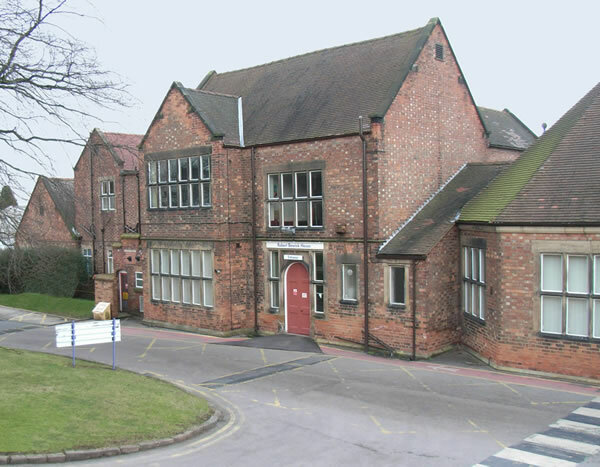 With the advent of computers, it became largely redundant and was finally demolished in 2008. The distinctive Porters Lodge and its archway that formed the main entrance to the workhouse was sadly, demolished to improve site access. The main entrance to the workhouse can though, still be recognised. The Master’s House and the back of the Boardroom block can be seen to give a good idea of their relative positions. Workhouse conditions were harsh so as to deter the able-bodied idle poor from relying on them. Men and women were segregated and children were separated from their parents. Aged pauper couples who by definition were neither idle nor criminal were not allowed to share a bedroom. By entering a workhouse paupers were held to have forfeited responsibility for their children. On admission, inmates surrendered their own clothes, any money or possessions were confiscated and they were issued with a plain uniform and single blanket which added to the depression. At Belvedere, after rising at 6:00am for breakast, inmates worked from 7:00am to 12:00am before breaking for lunch. Work resumed from 1:00pm to 6:00pm. After dinner, inmates were confined to their accommodation from 8:00pm. This was actually less severe than many workhouses of the time. I have not been able to accurately establish what work inmates actually did but there are a few instances of resentment and hosility from Burton Companies not able to compete with Belvedere’s cheap labour. Discipline was strictly enforced with typical punishments being a beating on the open hand or rear. Though food was very restrictive in the first place, it could also result in a reduction of food rations. In extreme cases, an inmate could be confined to a cell for a set period. Another form of both punishment and reward was through the appointment of different jobs. The worst jobs for offenders and more pleasant jobs for those that deserved it. Generally, treatment in the workhouse was very little different to being in prison with inmates being effectively punished for finding themselves in poverty. The only difference was that inmates could ‘discharge’ themselves and leave if they so wished but of course, invariably, they had no better option than being there in the first place. The diet was also deliberately poor quality because it was not intended to attract inmates. An early breakfast is separate sittings consisted of a piece of bread and bowl of gruel. No second helpings were permitted except on Christams Day. Lunch was a rationed bowl of poor-quality vegetable soup though this was a Belvedere luxury not seen in most workhouses. Dinners were dull, predictable & tasteless and Supper usually took the form of a crust of bread and cheese. Members of the workhouse generally suffered from malnutition. All meals were eaten in observed silence and, in the early days, no cutlery was provided. Again, workhouse inmated fared worse than their prison counterparts. The official ration in HM Prisons was 300 ounces of food a week. The workhouse diet was often around 180 ounces a week only. Inmates had to be pretty sick before being admitted to the infirmary. Treatment was basic and many left to the mortuary rather than back to the workhouse. Schooling was also very elementary though this improved when it was realised that an educated pauper child was less likely to return to the workhouse as an adult. Although Belvedere Workhouse enjoyed the luxury of a school, this was not the case in all workhouses. Children were often forcibly apprenticed to coalmines and local factories without the permission or knowledge of their parents. Many Belvedere children found themselves apprenticed to South Derbyshire coalmines from as young as eight. This was largely due to the fact that the money to ‘Poor Law Commissioners’ was very poor, relying on an element of charity. The Workhouse Master for example, had a salary of around £80 where his counterpart, the Governor of a prison would have been paid around £600. Doctors and teachers were paid around half what they could earn outside of the workhouse and nurses were often unpaid and untrained inmates themselves.